Want to read the massive, 545 page departmental briefing document which Malcolm Turnbull received when he was sworn in as Communications Minister several weeks ago? We do too, but we’ll need your help; so we’ve launched a $2,000 Pozible campaign to crowdfund access to it under Freedom of Information laws. It’s a well-known fact that when new Ministers are sworn in to lead government portfolios, they receive extensive briefings on those portfolios from their departmental bureaucrats. Known as ‘Red Books’ for a returning Government or ‘Blue Books’ for a new Government, the briefing documents contain a wealth of information about the new Minister’s portfolio, commitments, decisions and so on. Former public servant and now journalist Bernard Keane describes the briefing documents well in this extensive article for Crikey, noting that they will contain information on meeting the Government’s election commitments, urgent decisions that need to be made ASAP, thematic briefings about key issues in the portfolio and so on. In addition, there are a number of other key issues in the Communications portfolio which Turnbull will need to deal with, ranging from Internet censorship and filtering, digital rights, media law and so on. You’ll know what I’m talking about if you’ve been reading Delimiter or similar technology media outlets for any length of time. Many Freedom of Information requests are returned without fees. However, in this case, because of the complexity and length of the request, the Department of Communications has judged that some 97.55 hours of “decision-making” time, plus some 8 hours of “search and retrieval time” will be needed to judge what portions of the 545 page document can be released publicly. You can read the Department of Communications’ letter in response to the FoI request in PDF format here. Unfortunately the Department’s projected Freedom of Information costs are far outside Delimiter’s normal budget for FoI requests; we’re able to fund, and have funded requests in the past, in the low hundreds of dollars, but a request in the thousands would blow a hole in our budget. Because of this, we’re appealing for your assistance on this one. If you want to know everything that Turnbull does, if you want to see the 545 page Ministerial briefing he was provided with when he came to power, then we encourage you to chip in through the Pozible campaign we launched today for the issue. As you can see through the campaign page, all we need to source the document is $2070. If we are able to crowdfund this amount, we’ll immediately notify the Department of Communications and pay their fee. All of the money will purely be used for this purpose. After this point, it will likely take the Department several months to work through the FoI process. Once we get Turnbull’s ‘Blue Book’ document (likely with quite a few redactions) back, we’ll publish the whole document freely publicly on Delimiter. We’ll also conduct extensive analysis on the document and publish that analysis freely on Delimiter. This is an important public interest issue, so we’ll do our best. Note: The Department of Communications has warned that a preliminary review of the documents identified as part of our Freedom of Information search indicates that, “given the nature of the documents”, a significant proportion of the documents would be exempt from Freedom of Information laws. However, the release of incoming ministerial briefs under FoI laws is far from unprecedented. After the 2010 Federal Election, for example, the Treasury voluntarily released a significant proportion of the ‘Red book’ incoming government brief provided to the incoming Labor Government. 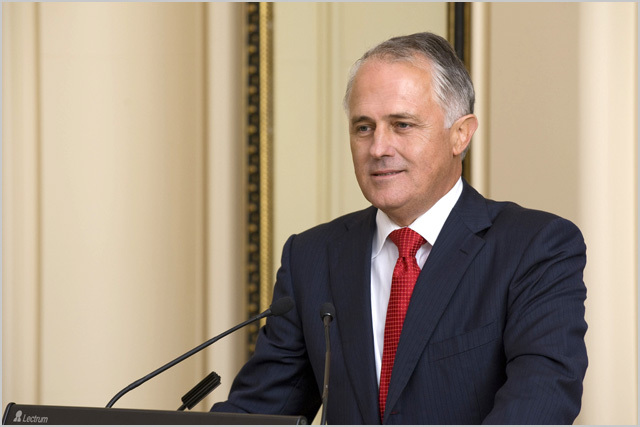 Last week, in a press conference, Turnbull said he would bring a new era of transparency and openness to the National Broadband Network. Shortly after the election, the Liberal MP said the NBN debate was not over, but he was determined to ensure that from that point on, the NBN debate would be “at least fully informed”. Will this be Delimiter, or will content end up on D2? No point in funding something that I won’t be able to read. It’ll be on Delimiter — not D2. All the analysis stemming from this will be freely published. Good luck Renai, I’m glad you are aren’t pay-walling it. Thanks. As such, supported :-) . Good luck in obtaining the goal. It will be a good read. Wow, 10 percent complete already. I went the $15 option so I can get a copy of the report. 25% now enough for the deposit already! Chuckles at the time allowance – to two decimal places. So that’s 8hrs,1.1 secs for Retrieval and 97hrs, 33 mins for Decisions. If they are are that concise it must be accurate! Done, it’s not something I normally do but this is too important for our nations future. It might be nice to use http://www.righttoknow.org.au to track the FOI request so others can view the progress and help out where needed. It also means that once the documents have been liberated they will free (in the ‘freedom’ of FOI sense) for people to look at. I don’t usually use Right to Know because I don’t always want the full content of my communications with government departments to be made public ;) This is pretty normal for journalists. As far as the FOI requests being made public, you should be aware that government departments are legally obligated to publish all FOI requests eventually through their public-facing FOI log anyway — there is no way to keep FOI’d documents private ;) And of course in this case, I will be releasing the full documents through Delimiter anyway (as is my standard practice with FOI material). Great stuff Renai, good luck with the funding! Hey why are you packing a suitcase with snorkeling gear?!? :) Just joking. Often we do get FOI docs back with significant parts redacted. However, I would find it very hard to believe that they could redact too of this, given that it’s 545 pages long. That would be a farce. Another $15 pledged to help the FTTP cause. I would expect them to redact any commercially sensitive documentation, which unfortunately would also be the juiciest parts. Looking good $1367. Not much left to go. This should help keeping MT honest. Anyone else expecting 545 pages of blacked out lines? Insist on a hard copy as well, Renai — we can burn through some printer toner at least. Probably Mr Creosote directly above me is expecting it too, heh. Renai LeMay I thought 2k was just chump change, funny you said that paying 5k for FTTP was chump change lol, I will still add to the kitty though. Interesting they price their time at ~200 per hour. ~100 hours, $2,000 = $20/hr…. Good news everyone, the project has been fully funded! That was quick! I’ll now set about confirming with the Department of Communications etc. It is a bit irritating that we need to pony up $2000 for a dumbed down version of a brief that was already paid for by tax payers. I guess that is how “transparency” works. Thanks for pursuing this Renai. Your coverage has been great! 90 hours of reviewing and deciding what needs to be redacted. Less than 6 hours later and you’ve got the dosh. Nice. I do expect you to send an invoice to Turnbull, and try to get our monies refunded – after all he believes in transparency does he not? Will it have early access on steam? I funded even though it looks like it reached its goal. Hopfully Delimiter can take leftovers as a gift for all the quality reading they have given me over these years. Is it possible to crowd fund a contract! Wow, I read about this on News.com.au before I got my factual news from Delimiter. I don’t know how I feel about this, but I can only assume the mases of news hungry readers will start to pour into your site, so congratz on all fronts.